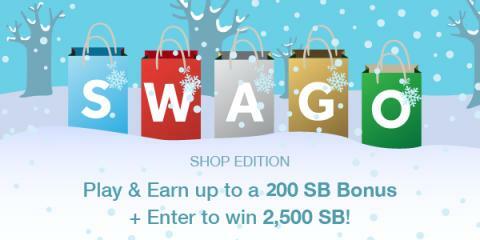 Swagbucks is hosting another round of Shopping Swago just in time for the Holidays! Plus, if you have to buy holiday gifts, might as well get an extra SB bonus for yourself, right? Shop Swago will begin on Monday, December 12th at 12pm EDT, make sure you hit "Join" otherwise you won’t get credit for completing the action items. Each square on your Swago Board will contain an action item to complete. The game ends Thursday, December 15th at 3pm EDT. So make sure to hit "Submit" on the pattern you wish to submit. If you don’t hit "Submit" before the game ends you won’t receive your SB bonus.